Brussels metro train no.132 at Demey metro station. Picture 7.9.2002 by Ilkka Siissalo. 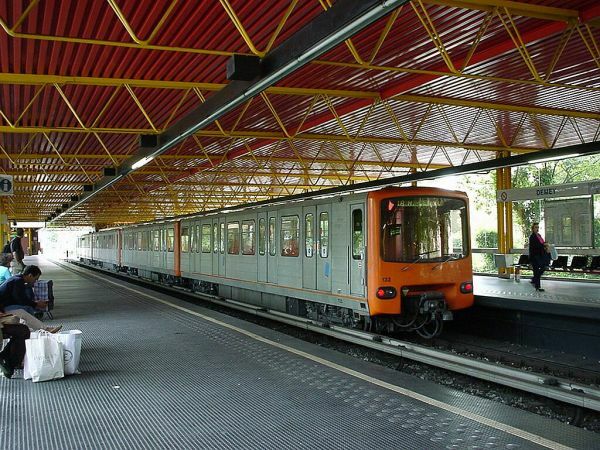 Brussels metro coaches 182 and 183 at the Demey metro station. 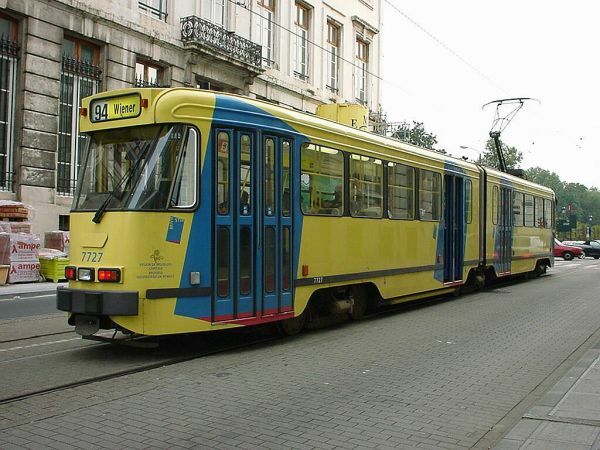 Brussels STIB tram no.2007 is one of the so called T2000 or Tram 2000 wagons that were built by Bombardier in Germany 1993-95. 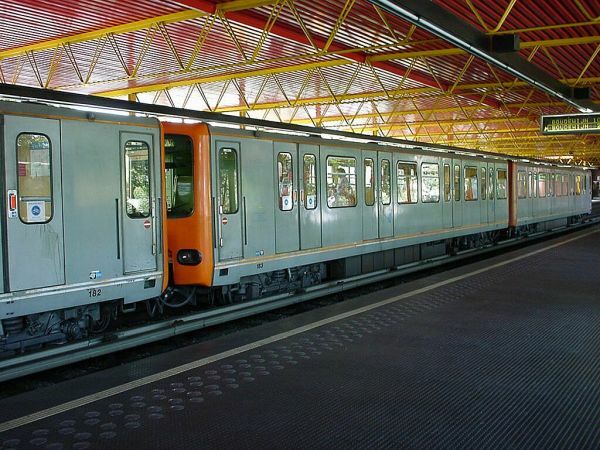 STIB has 51 of them. Picture by the tramstop "Palais" 5.9.2002 by Ilkka Siissalo. 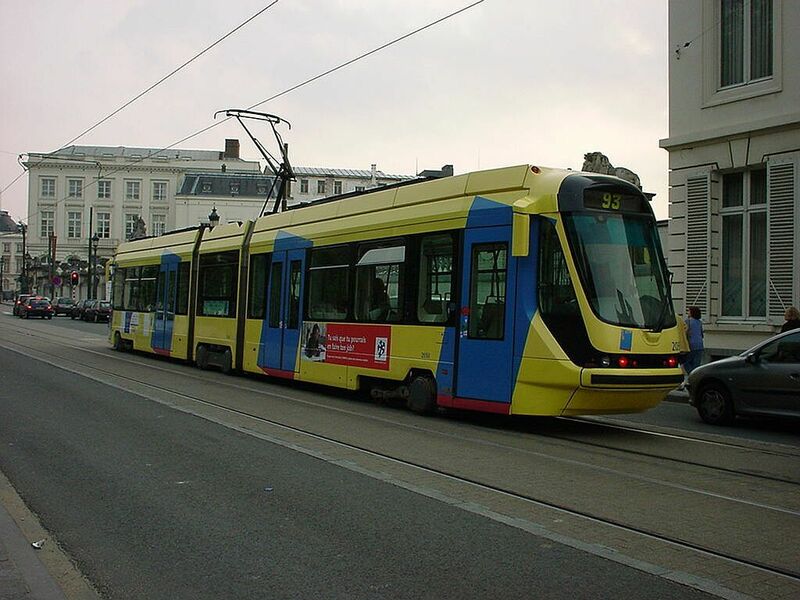 Another T2000 series tram, this time STIB no. 2050. STIB tram 7727 at Koeningstraat in Brussels. 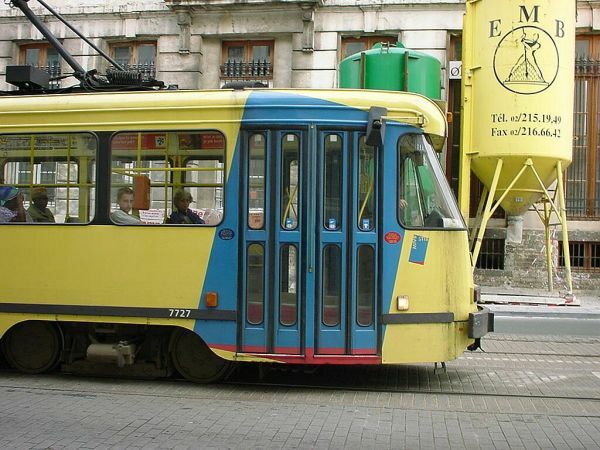 It is a PCC tram from the 1960s. PCC stands for President's conference committee. They were originally US trams from the 1930s that USA donated free or sold cheaply after the war as part of the so called Marshall aid programme. The Belgians got a licence and built more PCC trams themselves. 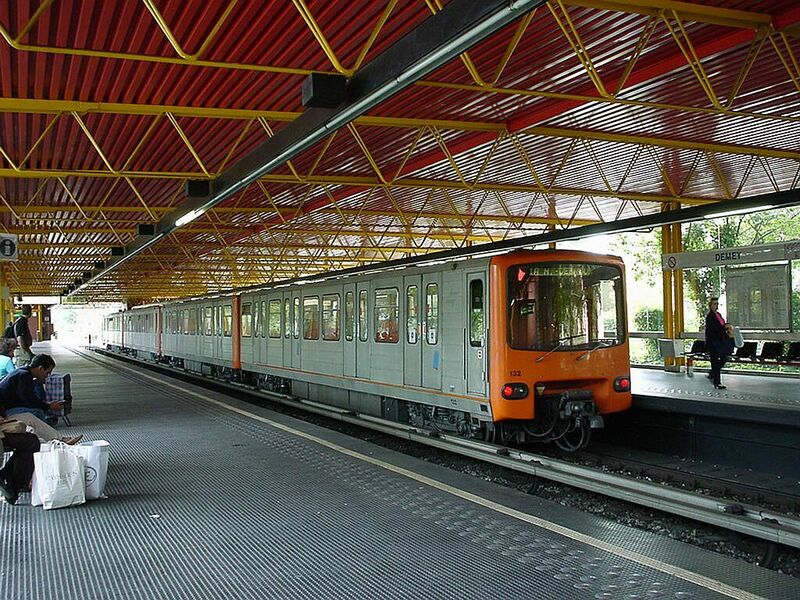 This is a later development which is based on the technology of the original PCCs. Picture 5.9.2002 by Ilkka Siissalo. 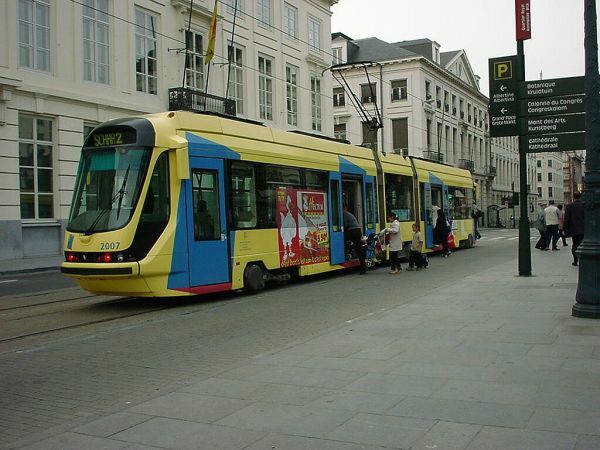 A detail view of the STIB tram 7727 at Koeningstraat in Brussels. 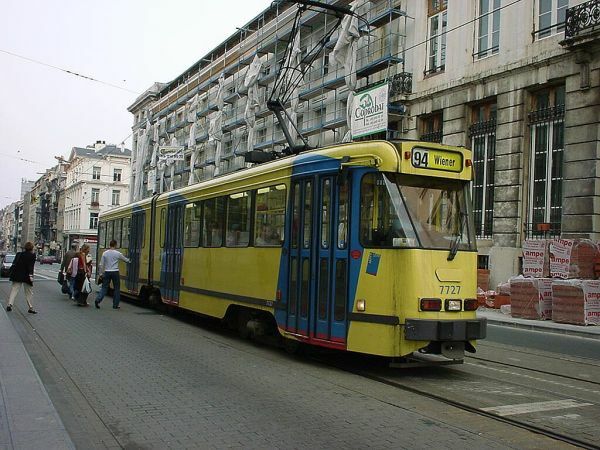 Still another view of the STIB PCC tram 7727 at Koeningstraat in Brussels. This 1960s model is essentially two original PCC trams coupled back to back. Picture at Koeningstraat in Brussels 5.9.2002 by Ilkka Siissalo.